Originally from nearby Sleepy Hollow, NY Angela Swift has lived in Old Greenwich and Riverside since 1992. She and her husband Steve have three children; Brooke, Tyler, Courtney. Professionally, Angela is a successful Realtor with Houlihan Lawrence and ranked in the top 1% here in Greenwich. 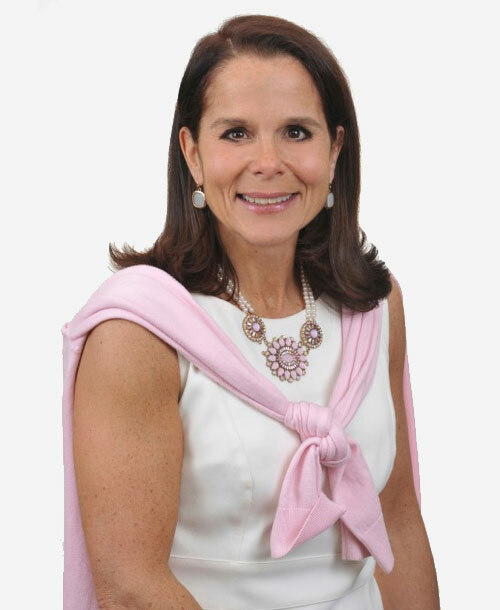 A 1985 graduate of The Catholic University of America with a BA in Accounting, Angela has worked in Washington, DC and New York City, with a successful career in sales with companies such as IBM, NYNEX and Parametric Technology. Being physically active is important to Angela. As a competitive runner and triathlete she has competed in races including The New York City Marathon (2X), Boston Marathon, Big Sur Marathon, Toughman Half Ironman, Patriot Half Ironman, Marine Corps Marathon, NYC Triathlon (5x) as well many local triathlons and races throughout Fairfield and Westchester Country. In August 2016 Angela rode 189 miles over 2 days doing the Pan Mass Challenge and raised $10,000 for Dana Farber and Cancer Research.